Do you want a Photographer or Videographer with a Hawaiian Shirt? Wedding Photography, Videography and Corporate Videos. 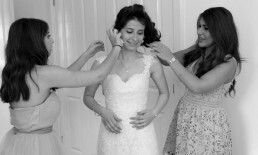 Creative, beautiful and fun wedding and photos and videos in Surrey and throughout the UK. Welcome to Hawaiian Shirt Photography: creative, beautiful and fun wedding photography and videography. Looking for a wedding photographer or videographer in Surrey, London or anywhere else in the UK? We would love to chat with you. We will also travel abroad, so let us know if you are having a destination wedding and we’d be happy to provide our stunning wedding videography services overseas. Get in touch today and check our availability for your big day! The best way to choose a wedding photographer is to see their work. Nothing speaks louder than high quality, elegant and fun images. You’ll see that at Hawaiian Shirt Photography, our style of natural and candid photography always puts you first. It captures the emotions, moments and memories that make your wedding completely unique. 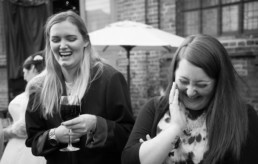 We don’t want to put you into poses or arrangements that could be from anyone’s wedding; instead, we capture the real laughter, tears and smiles with all our wedding photos. See inside to judge for yourself! Wedding videography is a fantastic way to capture the full feeling and atmosphere of your wedding day. Our elegant, beautifully edited and 100% personal wedding videos create an immersive experience, so you can re-live your wedding day the next month, the next year or the next decade. We pride ourselves on being unobtrusive and respectful without missing a single moment. It means that you can enjoy every second without worrying that you’ll forget it. Don’t take our word for it, watch the videos! It’s the emotion and feelings of a wedding that really makes it special and the ingredients mixed into each one are completely unique. It’s this individuality that we celebrate through our work. Our style is focused on candid and natural photography; we excel in capturing the moment, creating a record of the real events that occur throughout your day and those that are special to you. The photographs you receive will be saturated with your character and personality so you’ll be able to remember the way you felt for decades to come. We are based in Surrey, near London, but cover the whole of the UK, providing wedding photography and videography for all different types of occasions. This includes Civil, Church-based, Asian and Jewish weddings. We celebrate love, joy and relationship. Being part of any of that is an honour and a pleasure, so no matter what niche requirements, we would love to chat with you. We believe that the best wedding photographs and videos are created by having a keen eye for a good shot and using the latest equipment and technology. Unlike many photographers, we have invested in advanced low light cameras to enable us to use little flash or extra lighting. It means that we create great images while being able to move quickly, capturing a wide range of shots. We don’t miss a single moment. Our latest and most up-to-date technology also allows us to remain in the background of your wedding. No one wants a camera in their face while you’re saying your vows! With our technology and expertise, we record all the details without being a distraction. You’ll look through your photos or video and wonder how we managed to capture such intimate and beautiful shots without you realising. 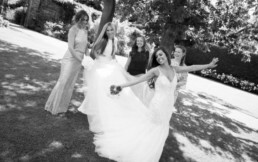 We have filmed and photographed over 100 weddings in Surrey, London and across the county. All our photographers are friendly and professional, and we pride ourselves in offering a great service to make your photos and video not just an enjoyable part of your day from start to finish, but something you love to look at again and again. P.S. If you are having a formal wedding the Hawaiian Shirt is optional! Ready for a photographer or videographer with a Hawaiian Shirt?